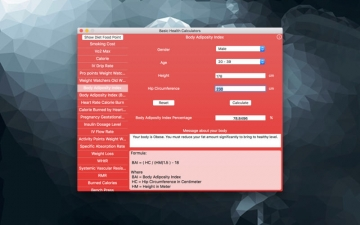 [値下げ] Basic Health Calculators | Mac App Storeのアプリ検索・ランキング BuzzMac! 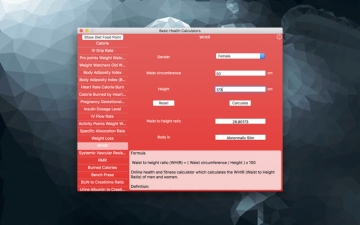 Basic Health Calculators comprises a selection of 32 different calculators which eliminate the need for performing complicated calculations in order to keep track of your health, manage your weight and maintain fitness. Shape up and stay healthy by using this handy little app! 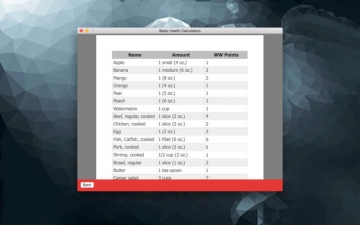 All information contained in and produced by the Basic Health Calculator app is provided for educational purposes only. This information should not be used for the diagnosis or treatment of any health problem or disease. THIS INFORMATION IS NOT INTENDED TO REPLACE CLINICAL JUDGMENT OR GUIDE INDIVIDUAL PATIENT CARE IN ANY MANNER.